Raw banana powder porridge/nendran porridge – easy porridge recipe made with raw banana powder. As I have mentioned earlier, raw banana powder is a nutritious and weight gain food for babies & toddlers. Now let’s get on to check how to prepare raw banana porridge for baby. 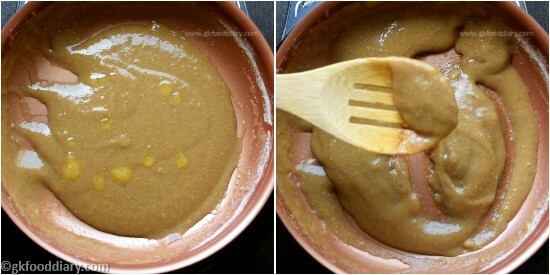 Take 2 tsp of powdered palm jaggery and add 2 tbsp of water to it or add water till immersing level. Boil until it melts completely and the mixture becomes slightly thick. 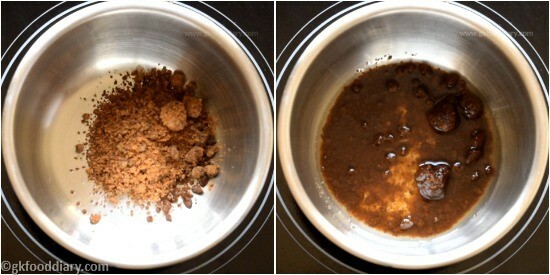 Then strain the palm jaggery mixture to remove impurities. Keep the filtered palm jaggery mixture aside. Take 2 tbsp of raw banana porridge mix in a thick bottomed pan. 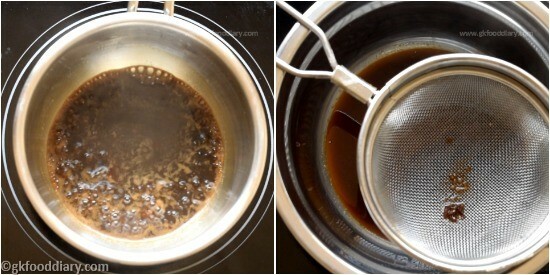 Add ¾ cup of water to it and mix everything slowly with a whisk. Make sure that there are no lumps formed. Cook in low flame until the porridge turns thick. Whisk it continuously while cooking otherwise porridge may stick to the vessel and form lumps. Now add the strained palm jaggery mixture. Cook it further for 2 minutes. Add in few drops of ghee. Give a quick mix and switch off the flame once done. 1. 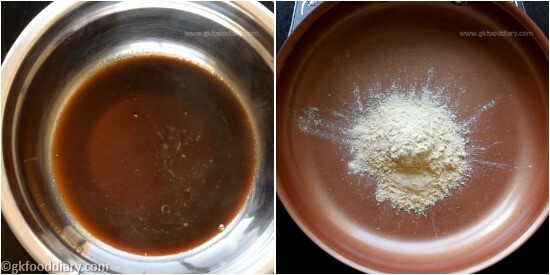 Take 2 tsp of powdered palm jaggery and add 2 tbsp of water to it or add water till immersing level. 2. Boil until it melts completely and the mixture becomes slightly thick. 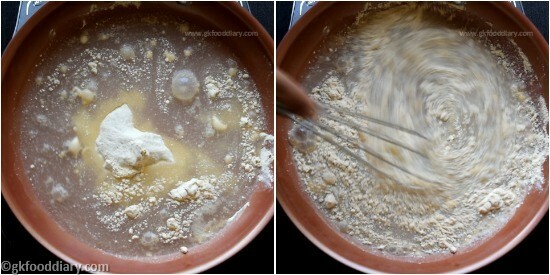 Then strain the palm jaggery mixture to remove impurities. 3. Keep the filtered palm jaggery mixture aside. Take 2 tbsp of raw banana porridge mix in a thick bottomed pan. 4. 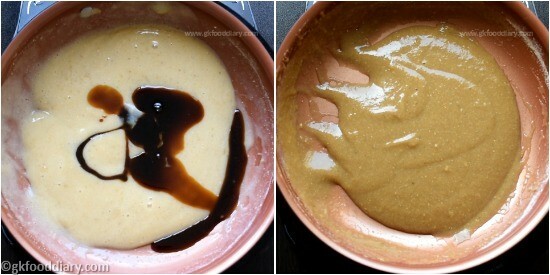 Add 3/4 cup of water to it and mix everything slowly with a whisk. Make sure that there are no lumps formed. 5. Cook in low flame until the porridge turns thick. 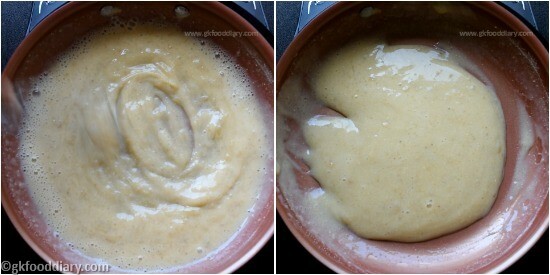 Whisk it continuously while cooking otherwise porridge may stick to the vessel and form lumps. 6. Now add the strained palm jaggery mixture. Cook it further for 2 minutes. 7. Add in few drops of ghee. Give a quick mix and switch off the flame once done. 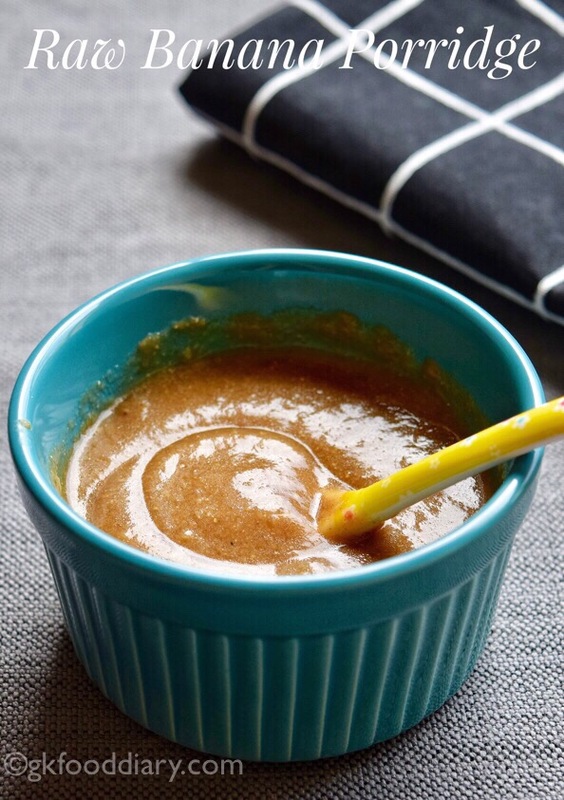 Healthy raw banana porridge is ready to feed your baby. 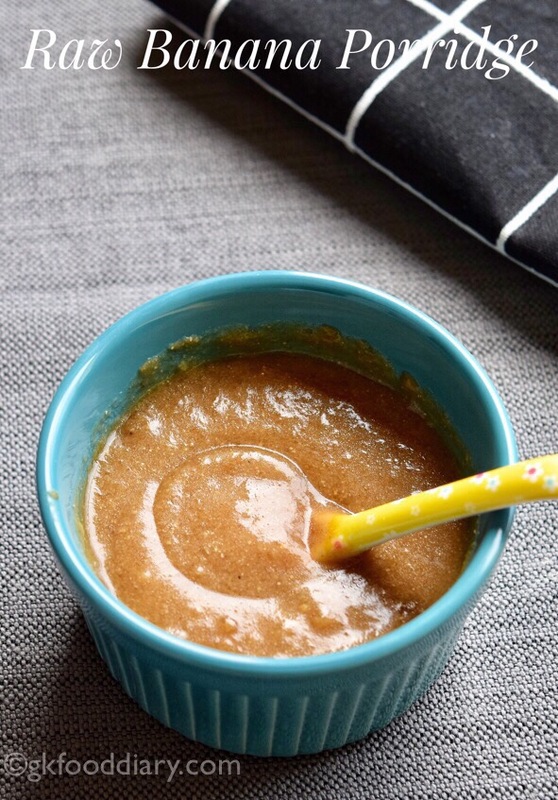 You can make this porridge with cows milk for babies above one year. Generally, the raw banana powder doesn’t cause any allergies, but check for symptoms and stop feeding your baby if you find any. Offer this porridge plain when you start. Try to avoid jaggery/ palm sugar/ palm jaggery or any kind of sweetener at least till one year or add very little amount than mentioned or prefer sweet tasting fruits/vegetables like apple, banana, carrot etc or dry fruits like dates or raisins. Can we give this as a breakfast everyday for 7 months old baby? 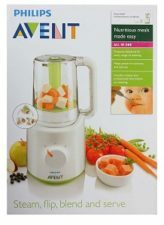 Will it generate phlegm in babies? Yes can give as breakfast and it doesn’t cause phlegm. Weekly 3-4 times you can feed.